Oakwood Community Table opened its doors in the fall of 2013. We are a food bank operated by Grace Bible Church at 366 Oakwood Avenue under the umbrella and support of Winnipeg Harvest and GBC. We operate every second Saturday from 10:00 – 11:00 AM, serving families in this community. Doors open at 8:30AM with refreshments available. If you live in the community and need assistance, please contact Winnipeg Harvest at 204-982-3663. If you are unable to get placed with Winnipeg Harvest, we welcome walk-ins. 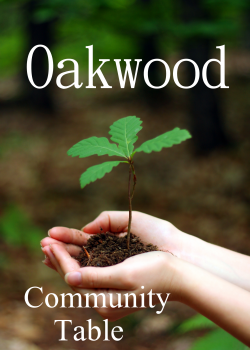 If you wish to volunteer or make a donation to the Oakwood Community Table, please contact Belinda Knopf.